Articles Do I Need a Medicare Supplement? YOU MIGHT BE WONDERING THIS YOURSELF. ARE MEDICARE SUPPLEMENTS WORTH IT? WE UNDERSTAND WHY YOU ASK. WHEN AMERICANS REACH RETIREMENT AGE AND START THEIR MEDICARE COVERAGE, MANY ARE SHOCKED TO REALIZE THAT MEDICARE IS NOT FREE. IF YOU DIDN’T KNOW TO SAVE FOR MEDICARE PART B PREMIUMS DURING YOUR RETIREMENT, YOU MAY FIND THAT MONEY IS TIGHT. HOWEVER, GOING WITH JUST ORIGINAL MEDICARE AND NO SUPPLEMENTAL COVERAGE IS NOT WISE. THE GAPS IN MEDICARE ARE SUBSTANTIAL, LEAVING YOU TO PAY FOR EXPENSIVE DEDUCTIBLES AND 20% OF ALL YOUR OUTPATIENT COVERAGE. IF YOU DON’T HAVE A MEDICARE SUPPLEMENT PLAN, OFTEN REFERRED TO AS MEDIGAP COVERAGE, OR A MEDICARE ADVANTAGE PLAN, YOU’LL HAVE TO COME UP WITH THE DIFFERENCE YOURSELF. SO ARE MEDICARE SUPPLEMENT PLANS WORTH IT? YES, THEY ARE. LET’S LOOK AT HOW THEY CAN HELP YOU. THE BEST THING ABOUT YOUR OPTIONS FOR COVERING THE GAPS IN MEDICARE IS THAT THERE IS SOMETHING FOR EVERYONE NO MATTER WHAT YOUR BUDGET IS. WE HAVE MEDIGAP PLANS WHICH COST A BIT MORE BUT HAVE FULL COVERAGE. THEN WE HAVE MEDICARE ADVANTAGE PLANS WHICH IN SOME COUNTIES CAN COST AS LOW AS $0 FOR THE PLAN ITSELF. LET’S LOOK AT A FEW BASIC FACTS SO YOU CAN JUDGE IF YOU NEED A MEDICARE SUPPLEMENT PLAN OR IF A MEDICARE ADVANTAGE PLAN IS RIGHT FOR YOU. JUST LIKE WITH YOUR CURRENT INSURANCE, MEDICARE HAS DEDUCTIBLE, COPAYS AND COINSURANCE FOR WHICH YOU ARE RESPONSIBLE. MEDICARE PART A COVERS UP TO 60 DAYS OF HOSPITALIZATION, BUT YOU PAY A DEDUCTIBLE OF $1316 IN 2017. IF YOU ARE IN THE HOSPITAL LONGER THAN 60 DAYS, YOU BEGIN PAYING AN EXPENSIVE DAILY COPAY FOR YOUR HOSPITAL CARE. IF YOU ARE IN THE HOSPITAL 150 DAYS, YOUR HOSPITAL COVERAGE RUNS OUT ALTOGETHER. YOUR COST-SHARING UNDER PART B IS SIMILAR. YOU ARE RESPONSIBLE FOR PAYING YOUR PART B DEDUCTIBLE, WHICH IS $183 IN 2017. THEN PART B MEDICARE ONLY PAY 80% OF APPROVED SERVICES. THIS MEANS YOU ARE RESPONSIBLE FOR PAYING 20% OF ALL YOUR DOCTOR VISITS, YOUR ER VISITS, BLOOD TESTS, X-RAYS, SURGERIES, DURABLE MEDICAL EQUIPMENT AND EVEN HIGH-PRICED THINGS LIKE CHEMOTHERAPY. THERE IS NO CAP ON YOUR 20% LIKE YOU’VE HAD ON YOUR PRIOR INSURANCE PLANS. YOU PAY THAT FOREVER. PAYING 20% OF THE COST OF A KNEE REPLACEMENT WILL HURT A LOT. BUT IT WILL PALE IN COMPARISON TO PAYING 20% FOR THE TREATMENT OF AN ILLNESS LIKE CANCER. EVEN FOR SMALLER ITEMS LIKE CT SCANS, YOUR 20% CAN BE A BURDEN. MEDICARE SUPPLEMENTS PLANS WERE DESIGNED TO FILL THE GAP IN YOUR MEDICAL COVERAGE LEFT BY MEDICARE. YOU NEED A MEDICARE SUPPLEMENT TO PROVIDE YOU PEACE OF MIND, KNOWING THAT IF THE UNEXPECTED HAPPENS, YOU WON’T HAVE YOUR CREDIT RUINED BECAUSE OF UNPAID MEDICAL BILLS. MEDICARE SUPPLEMENTS TAKE CARE OF THINGS LIKE CO-PAYMENTS, DEDUCTIBLES, AND COINSURANCE THAT YOU ARE RESPONSIBLE FOR, AND SOME PLANS EVEN COVER YOU IF YOU TRAVEL OUTSIDE OF THE UNITED STATES. 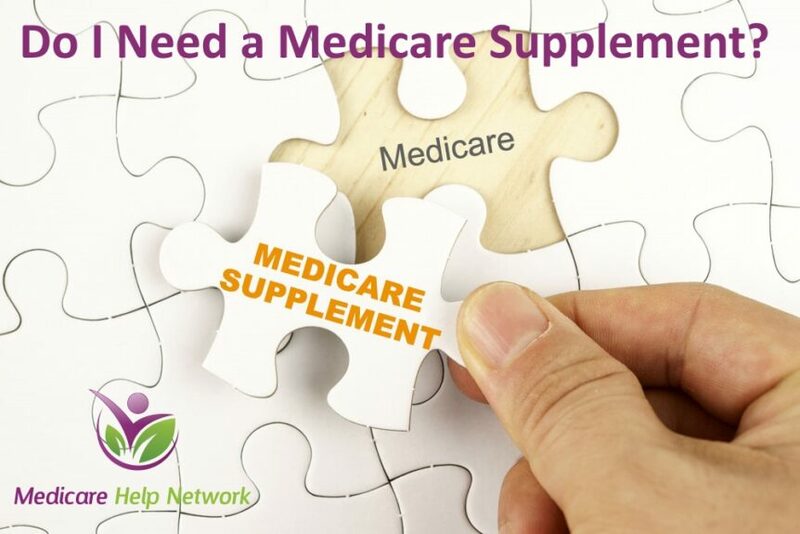 THERE ARE 10 STANDARDIZED MEDICARE SUPPLEMENTS PLANS (A, B, C, D, F, G, K, L, M AND N) AND ONE HIGH-DEDUCTIBLE PLAN. MOST MEDIGAP PLANS ARE GUARANTEED RENEWABLE FOR LIFE MEANING THAT IF YOU PAY YOUR PREMIUM, YOU ARE COVERED AND CANNOT BE DENIED COVERAGE BECAUSE OF ANY HEALTH ISSUES OR BECAUSE OF YOUR AGE. ONCE YOUR MEDICARE PLAN HAS PAID ITS PART, YOUR MEDIGAP COVERAGE WILL PAY MOST OF WHAT’S REMAINING FOR ANY MEDICARE-APPROVED CHARGES. YOU CAN SEE ANY DOCTOR THAT PARTICIPATES IN MEDICARE, TOO, WHICH IS ONE OF THE BEST FEATURES ABOUT MEDIGAP PLANS. PLAN F PAYS 100% OF ALL OUT-OF-POCKET EXPENSES. IF YOU ARE LOOKING FOR A COMPREHENSIVE PLAN THAT WILL PAY FOR EVERYTHING, THIS ONE IS IT. WE SHOULD NOTE THAT PLAN G AND PLAN N ARE ALSO VERY POPULAR SELLERS AT OUR AGENCY. THESE PLANS OFFER LOWER PREMIUMS THAN PLAN F, AND YOU DO A LITTLE BIT OF COST-SHARING ON THE BACK END OF YOUR POLICY. MANY PEOPLE DON’T MIND PAYING THE PART B DEDUCTIBLE OUT OF POCKET IN RETURN FOR THE LOWER PREMIUMS THAT PLAN G AND PLAN N CAN GIVE THEM. FOR A CLOSER LOOK AT THE COMPARISON BETWEEN MEDICARE PLAN F AND PLAN G, VISIT THIS POST I WROTE FOR FORBES. WE’LL MENTION THAT PLAN F WILL BE PHASED OUT IN 2020. HERE AT OUR AGENCY, WE’VE SEEN MANY PEOPLE INTERESTED IN ENROLLING IN PLAN F NOW SO THAT THEY WILL BE GRANDFATHERED INTO THAT PLAN ONCE 2020 ROLLS AROUND. THAT’S ONE STRATEGY, BUT LOOKING AT PLAN G IS A GOOD IDEA. YOU CAN SAVE ON PREMIUMS AND HAVE THE CONFIDENCE THAT YOUR PLAN IS NOT BEING DISCONTINUED ANYTIME SOON. FINAL THOUGHTS ON WHETHER YOU NEED A MEDICARE SUPPLEMENT: ARE MEDICARE SUPPLEMENT PLANS WORTH IT? YES. BECAUSE WE HAVE MANY OPTIONS FOR COVERING THE GAPS, THERE IS NO NEED TO RUN AROUND WITHOUT SUPPLEMENTAL COVERAGE. IF YOU FIND YOURSELF ASKING WHETHER YOU REALLY NEED A MEDICARE SUPPLEMENT, ASK YOURSELF IF YOU CAN AFFORD TO PAY 20% OF A $50,000 KNEE REPLACEMENT OR 20% OF EIGHT WEEKS OF CANCER CHEMOTHERAPY. IF YOU ARE LIKE MOST OF US, YOU CAN’T PAY THAT MUCH OUT OF POCKET. SO YES, THEN YOU NEED A MEDICARE SUPPLEMENT OR MEDICARE ADVANTAGE PLAN. A MEDIGAP PLAN OR MEDICARE ADVANTAGE PLAN IS A WISE INVESTMENT TO PROTECT YOU FROM CATASTROPHIC MEDICAL SPENDING. REGARDLESS OF YOUR CURRENT FINANCIAL SITUATION, THERE IS SURE TO BE A PLAN THAT WILL FIT YOUR BUDGET AND MEDICAL NEEDS. WE HAVE THE KNOWLEDGE AND EXPERIENCE TO GUIDE YOU THROUGH THE PROCESS OF CHOOSING THE BEST PLAN TO FIT YOUR NEEDS.